Hilton Brown was an artist first, an educator, and a writer. As a painter and teacher of color, Brown created abstract works in the 1960's before turning to figurative representation. In the '60s Brown explored abstract and non-representational visual ideas that were heavily influenced by the Washington School of Color spearheaded by Morris Louis and Kenneth Noland, and perpetuated through the works of such artists as Howard Mehring and Thomas Downing. In Homage to the Immaculates from 1965 Brown carefully balanced the non-colors of black and off-white color with rigid and almost minimalist forms. The result is stark and dramatic. 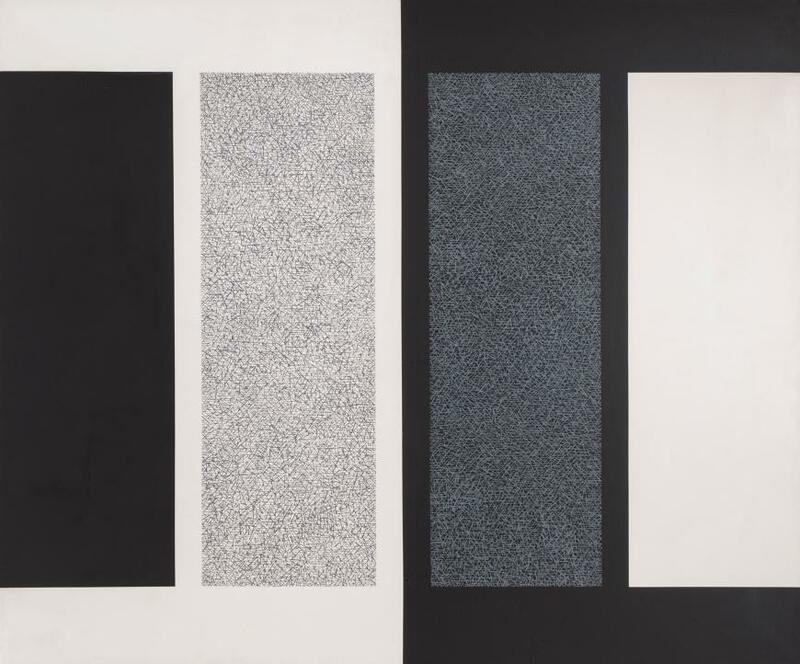 Black gives objects perfect form and amplifies the rigidity and minimalism of the work. The color white—even off-white—personifies the ultimate purity, a play against the title of the work Homage to the Immaculates. When used together, the impact of black and white is pow­er­ful and strik­ing, the most con­cise state­ment in design. 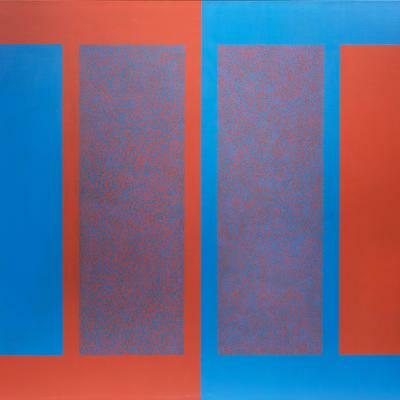 The use of such geometric shapes portends the arrival of "hard-edged abstraction" and the "op art" movements which relied heavily on the use of geometric shapes. Such clear and defined shapes in our painting marked a pivoting point away from the emotional intensity of Abstract Expressionism.